Here at SparkPost we are always looking for new ways to connect with developers using our product. We recently created our Developer Hub, released a client library for Java, and spoke at Angular Connect in London. This week at Insight, our annual user conference, we set up our first SparkPost Lab, an area where visitors could get to know SparkPost through direct conversations with our engineers. 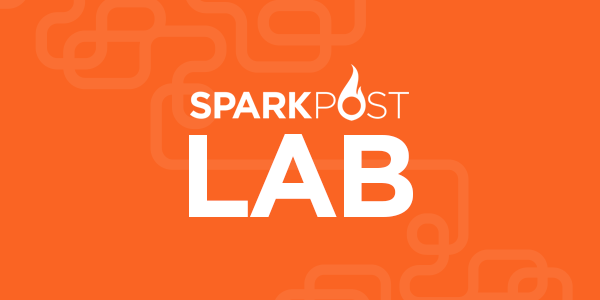 We created the SparkPost Lab for existing and potential customers. For those that were not familiar with or wanted to try out SparkPost, we set up a demo account that allowed users to get acquainted with our API and web UI. Manned by our developer advocate, Aydrian Howard, and one of our managers of application development, Max Mathieu, visitors could drive the conversations and have questions addressed on the spot, arming them with the information they need to be successful with SparkPost. Visitors to the SparkPost Lab also had the opportunity to try our mini-hacks. The mini-hacks were very small, achievable tasks for users to perform with SparkPost including signing up and sending an email, consuming webhooks, and querying our message events endpoints. These tasks helped developers get familiar with three of the most powerful components of our product. As an added bonus, we gave away a sweet BB-8™ droid. After its first appearance at the fantastic Insight conference, we feel that our first SparkPost Lab was a huge success. We got to connect with developers using SparkPost, learn more about our customers’ challenges, and have fun mini-hacking in the process. Next up is Nodevember, where we are a silver sponsor. We’ll be there with the SparkPost Lab and our own Aimee Knight will be presenting. Come visit us and get to know SparkPost!